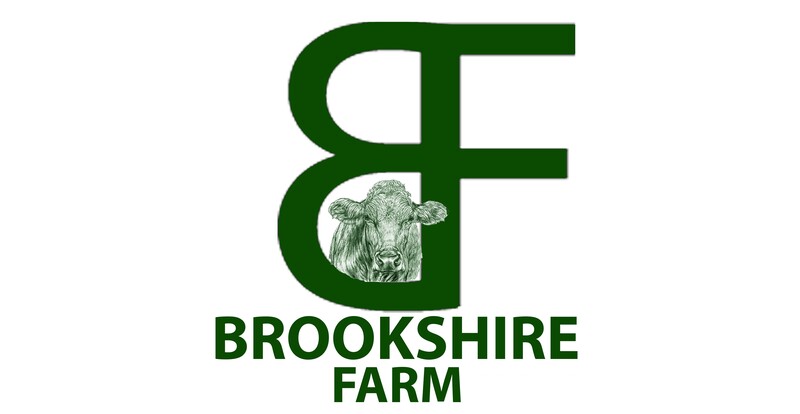 Brookshire Farm is at Lafayette's Hub City Farmers Market on the 1st and 3rd Saturdays every month. Bob normally handles that market, but yesterday, he had a family event with Katie's family (it involved fishing, of course), so Anne and I were at the market. We always enjoy the market, it is a great way to connect with our customers and, when the weather works (as it did yesterday) it is a great way to spend time with each other and with the other vendors in the market. 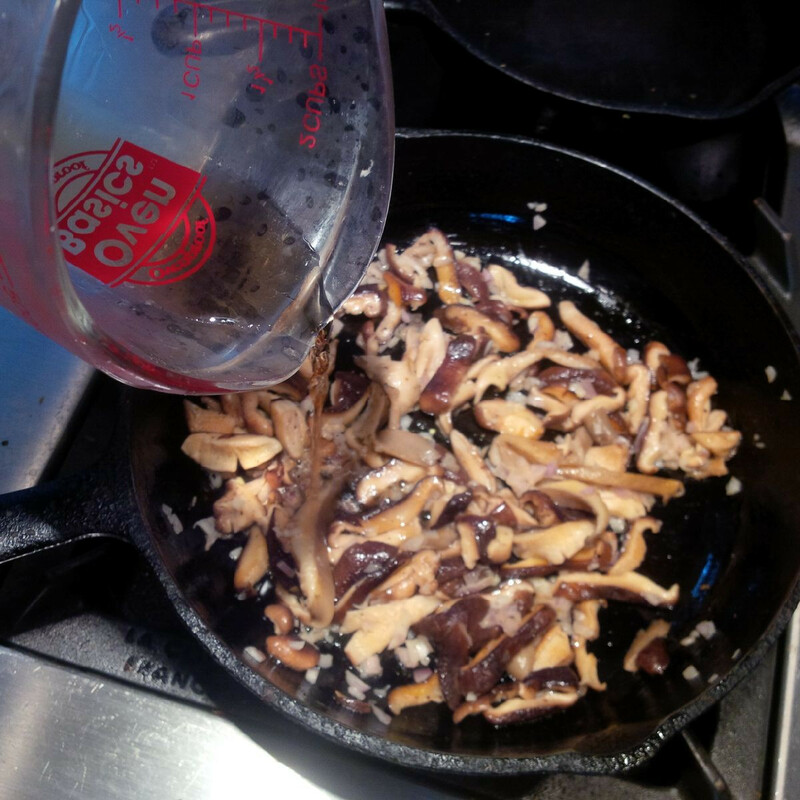 This week, there was a special treat, Artemis Gourmet Mushrooms was there with Shiitake and Grey Oyster Mushrooms! 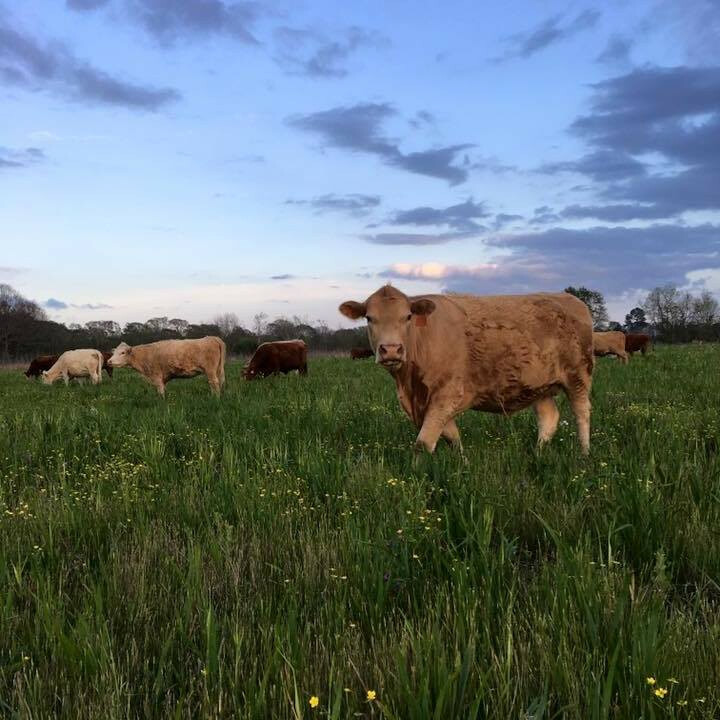 We get our milk, cream, buttermilk and yogurt from Hill Crest Creamery. Ella, at Me Healthy Products, brings it to the Hub City Market, but you need to preorder the week before to be sure that she will bring enough from Hill Crest. Anne and I have a standing order for milk and cream. This week Ella had an extra butter! 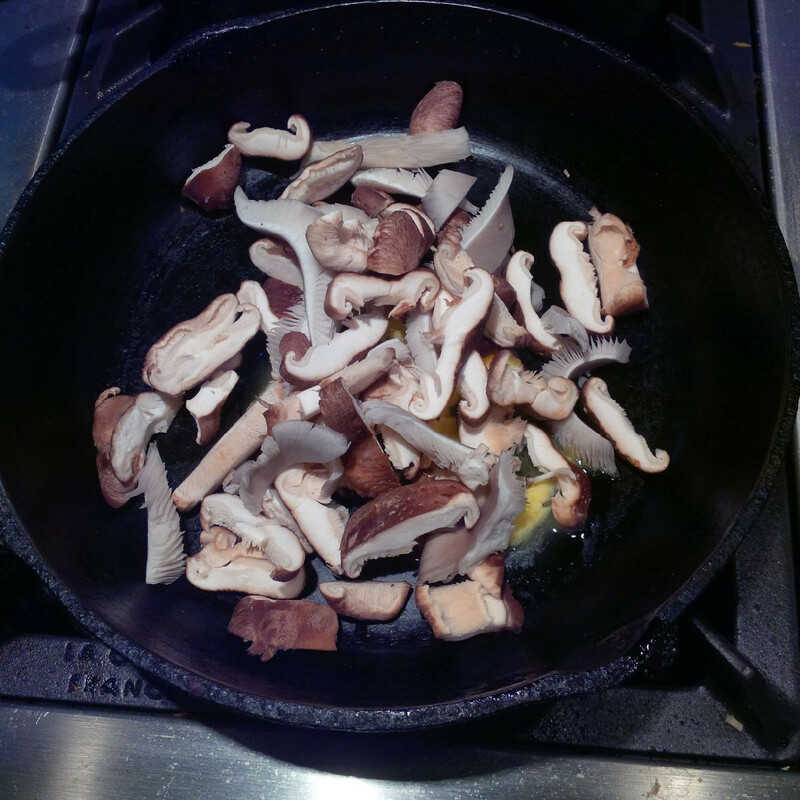 Great Mushrooms; great butter; and, finally, earlier in the week, Anne had fixed a great Brookshire Farm Flamed Beef Roast (and had made enough to be sure we had extra -- We always try to cook extra roast; so many quick meals can be made with extra roast beef). These are the fixings for great meals! The first of these great meals was lunch after the market. Getting up early for the market, making sure that all of the preorders are filled for the market, checking the inventory, etc then heading out for the market at 7AM makes a long (but enjoyable) morning. We generally eat something simple for lunch. 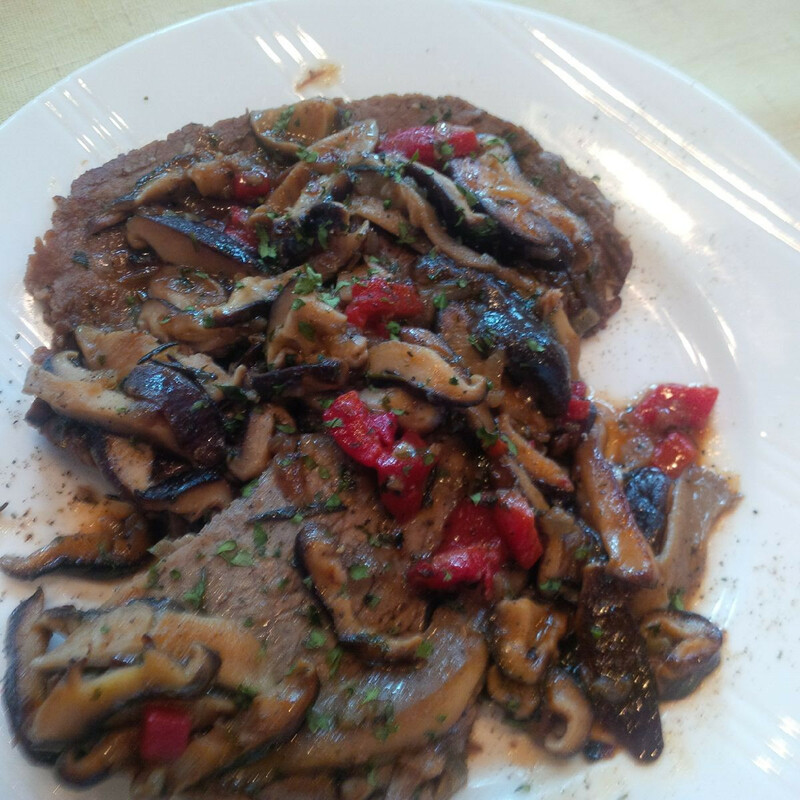 Yesterday, we had roast beef in a mushroom sauce -- delicious, nutritious and satisfying! And it took about 15 minutes to make. 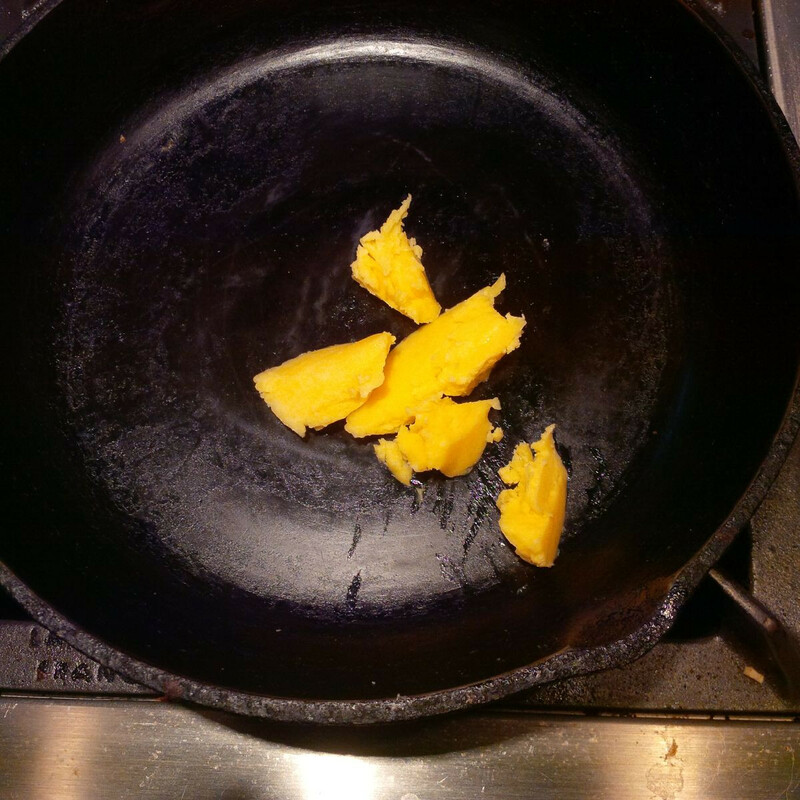 First, a knob of Hillcrest Butter in the pan (look at the rich yellow color -- a sure sign that the cows are grazed on open pasture, with lots of forage). 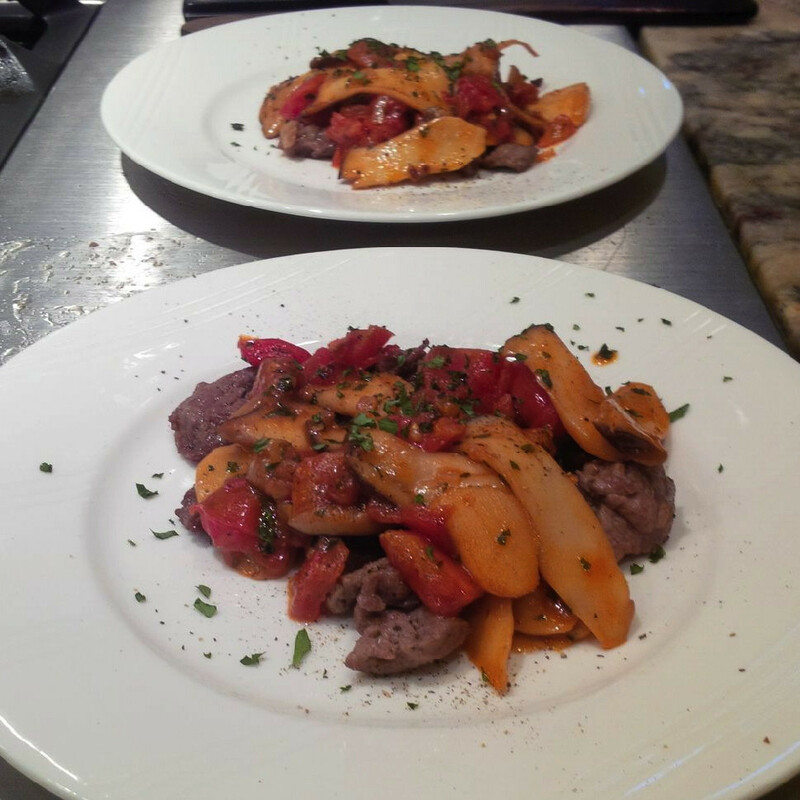 Variations on this dish are infinite. Last night I fixed it for a family supper (Bob, Katie and Cece joined us). Instead of brandy, I used sherry and a little white wine (for additional acidity), and then, 5 minutes before serving, added about 1/2 cup cream. (The extra 5 minutes allows the cream to thicken a little). 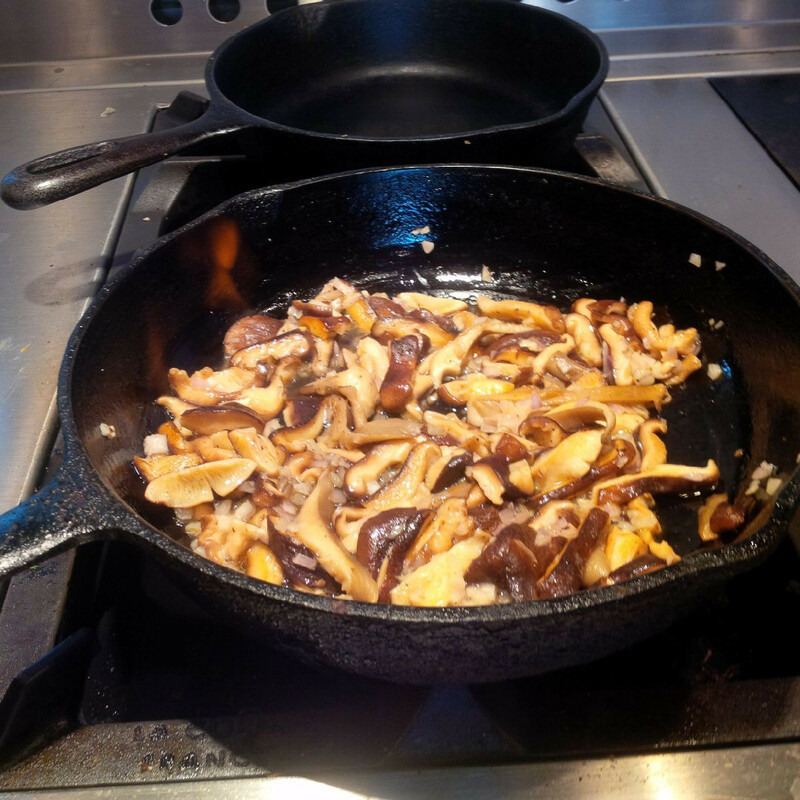 If you want to cook without using brandy, sherry or wine, you can add tomatoes (not a lot, the mushrooms are the star, not the tomatoes) for the acidity to balance the richness of the mushrooms. If you are not using cream, lemon or lime are good sources of acidity to balance a dish. 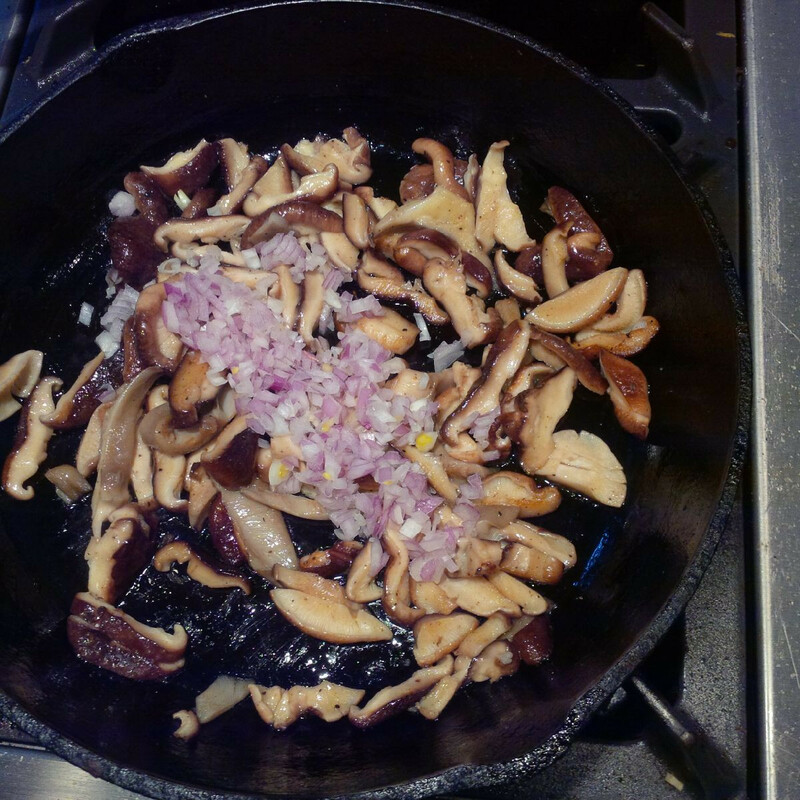 Melt Butter in medium skillet, saute mushrooms until soft, add shallots and cook for an additional minute. Add brandy and flame. Mix in the pimento. 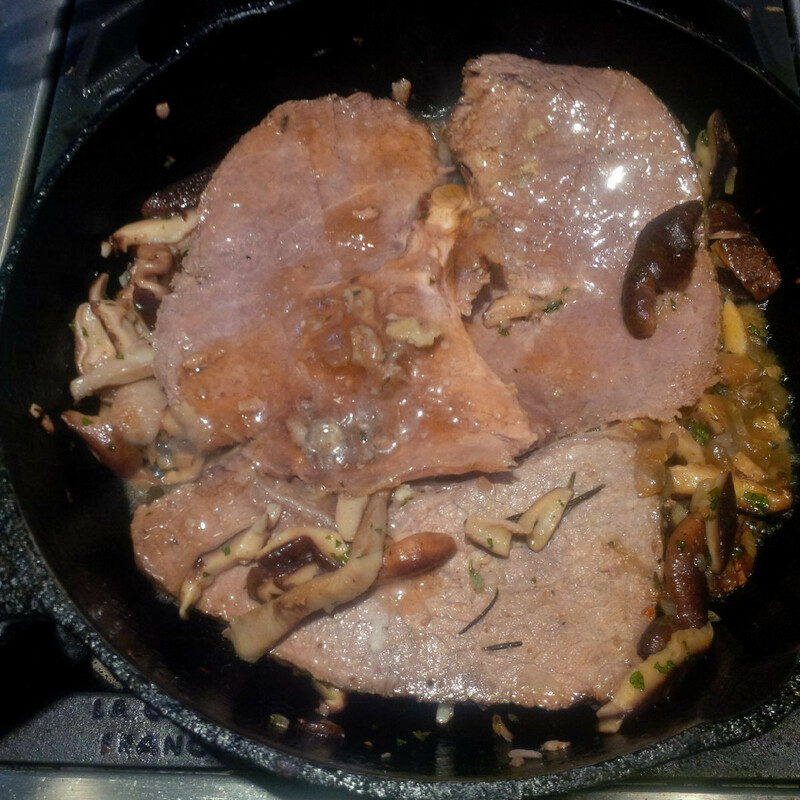 Place the slices of the beef (and gravy, if available) in the sauce. Add salt and pepper, if needed. 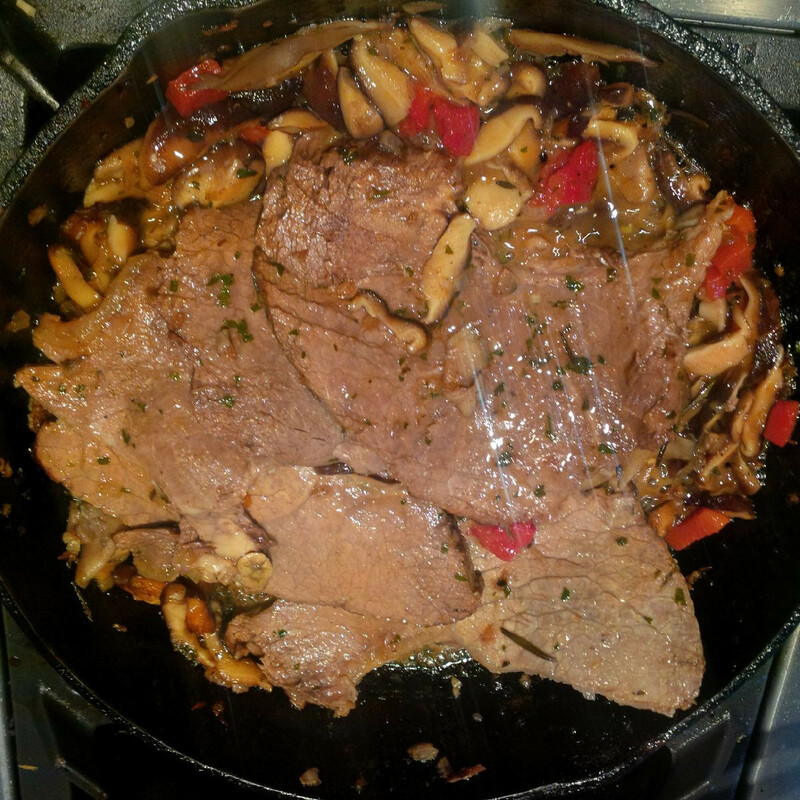 Continue to cook, turning the meat occasionally, until the beef is warmed thoroughly and the sauce has thickened a little. 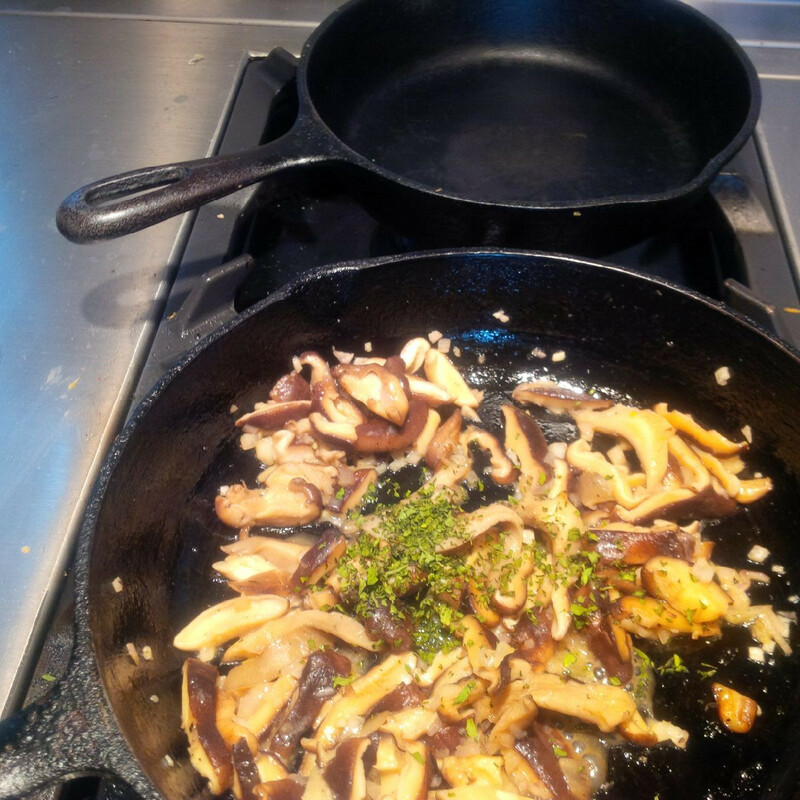 You can garnish with additional chopped parsley and ground pepper when you serve, if you like.